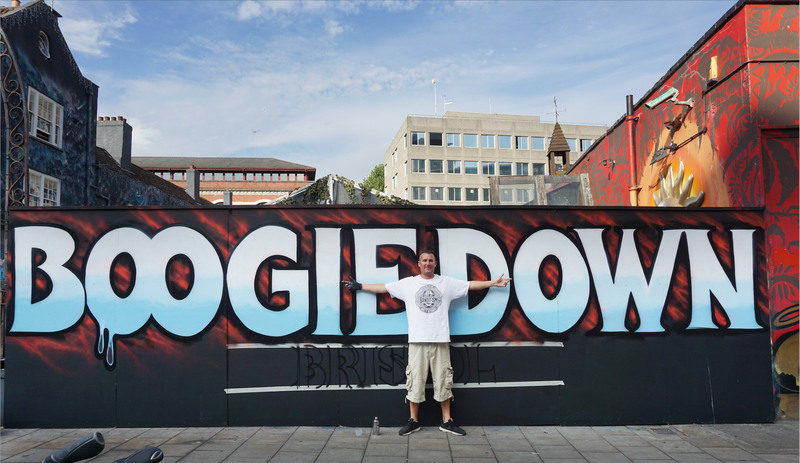 The first ever Boogie Down Bristol Block Party took place on Saturday 15th July 2017 at the Full Moon in Stokes Croft, central Bristol. This was the first graffiti art festival in the centre of Bristol for a long time, in fact going back to 2012 for the See No Evil street art event which was the last recognisable central event. Of course Bristol is blessed with Upfest, running each year in south Bristol. We’re hoping this might become a new mainstay and one of the things to do in Bristol year on year. The strong line-up of international artists included Bonzai, Mr Cenz, Inkie, Epok, Tizer, Boogie SML, Nilko White and Cheba, all painting live.